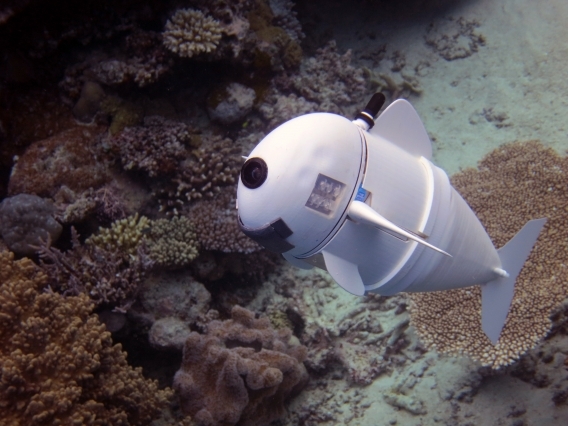 Described as the most advanced robotic fish of its kind ever built, SoFi is awesome. 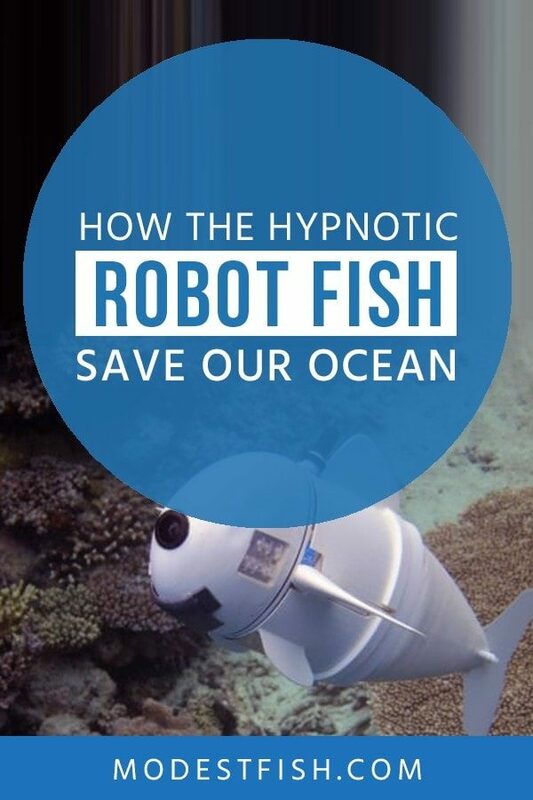 And I’m about to make it easy for you to understand how this hypnotic robot fish works and what it does. Remember the first time you saw Arnold Schwarzenegger as a look-alike human, hunting down Sara Connor in The Terminator? Well, imagine that, just under water – and for a good cause. For marine scientist observing life in the ocean is essential for discovering things like feeding patterns, migration habits, and new cool species. But these discoveries are limited to what scientist can see when they observe the fish, which means an awful lot of hanging around with fish in the wild. Turns out fish don’t really like that. 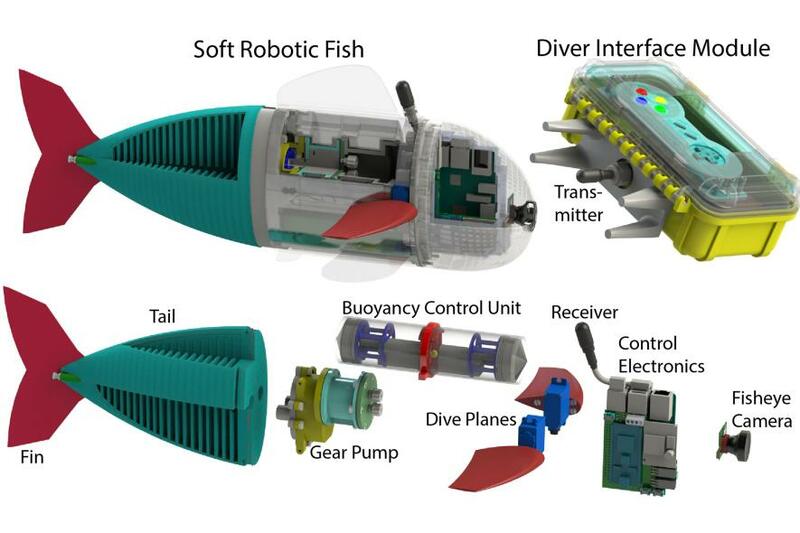 So scientist started making mini-submarines that could sneak up on fish and observed them, without any nosy humans around. Unfortunately, the mini-subs were powered by propellers, like the one you would find on fishing boats. They’re noisy and can be heard over long distances. Turns out fish don’t like that either. Marine scientist needed a stealthier way to spy on fish, and what’s the best way of spying on a fish? Pretending to be a fish, just like the terminator pretended to be a human. The story of robotic fish is not exactly new. Reaching all the way back to 1994 when the worlds’ first robofish, Charlie the Robo-Tuna took a swim, scientists have been using the movements of fish, to design underwater robots. Almost a decade ago, in 2009, a team of researchers were mimicking the Amazonian knifefish, to create a swimming robot. Now, a team of roboticists, meaning robot scientist, from MIT have built what they call the most advanced robotic fish ever made. Short for “Soft Robotic Fish, this little gem has got the internet in a craze as a revolutionary swimming robot. It takes high-resolution photos and videos with a, you guessed it, fisheye lens. Powered by a lithium battery, it has a silicone tail, and a 3D printed core, making it easy and cheap to reproduce. Being 17 cm long (18,5 in), SoFi moves through the ocean with grace and fishlike movements. The Robo-fish can swim up to half its body length per second. That’s 8 cm second! ZOOM! With around 40 min of battery time, SoFi can make dives down to 60 feet (18 m). Since 2014, the MIT robotics team behind SoFi lead by Daniela Rus, have built various types of Robo-fish. 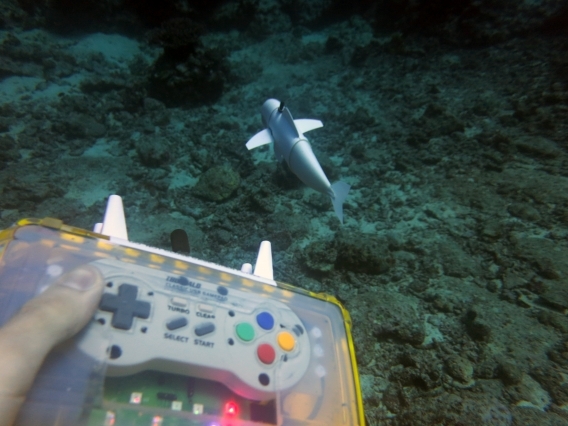 These earlier fish were not super stealthy, as they had cables sticking out of them, connecting the robots to controllers, and could only dive 3 feet – not cool. “Our primary goal was to make something for biologists,” said Mr. Katzschmann, one of the makers of SoFi, to the New York Times. Don’t you kind of wish you were a biologist now? I know I do. How does the RoboFish Work? Making a robot like this isn’t easy, so let’s take a look at what makes this robot fish the most advanced to date. SoFi had to do a lot of things regular robots don’t, like being completely waterproofed. But what really sets SoFi apart from earlier Robo-fish, is the mechanics. SoFi is part of a wave of robots known as ‘Soft Robots’. They are, well, soft. Like this squishy octopus, or this nightmare-inducing snake robot. Turns out soft robot are pretty hard to make. After all, the stiff machine movements are exactly what we associate with ‘doing the robot’ on a dancefloor. Fish are the opposite. They bend and twist, snatching up food, and escaping predators. To give SoFi the wriggling tail motion, the research crew put a hydraulic pump system in it. The tail has two hollow champers and a little pump pushes water from one chamber to another. This makes the tail move, giving it smooth fish-like motions. Buoyancy is also an issue. You know when you’re in a pool on summer holiday, and you’re pushing an inflated beach ball down, only to have it shoot back up at you when you let go? The further down into the water you push the ball, the more forceful it will come back up, and the harder it will smack you in the face. SoFi had to work like a beach ball that could adjust to being pushed down. The team again looked to fish for inspiration. 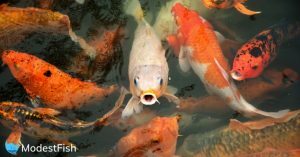 A lot of marine animals have a gas-filled organ called swim bladder, which solves the buoyancy issue. The team mimicked a swim bladder by compressing and decompressing air inside the robot. So now SoFi is able to move like a stealthy fish, without rushing to the surface like a beach ball. Awesome. SoFi is programmed to just swim straight if no other instructions are giving. This is great if you want to build a dory robot (Just keep swimming. 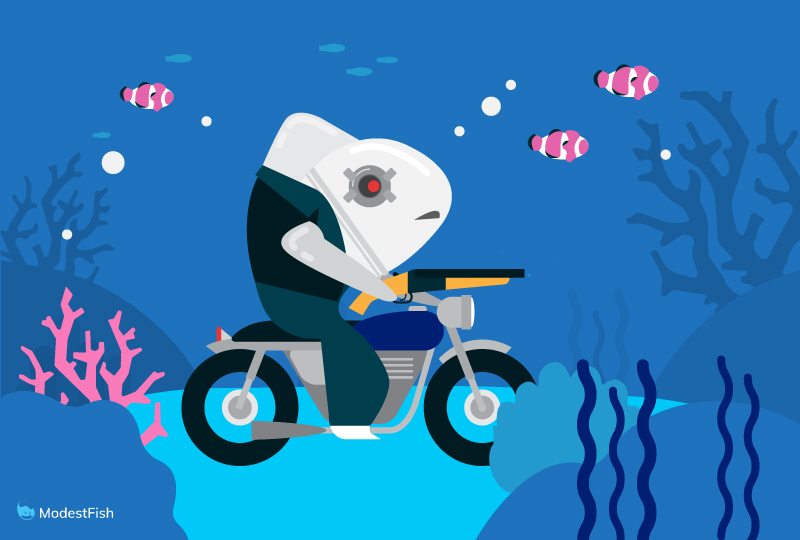 Just keep swimming), but if you want to look at fish, you need to steer your robot to where the fish are at. This is a tricky one, as radio signals like the ones we use to steer drones and other remote things, don’t work underwater. The team had to find a new way of communicating with the robot. They ended up with pulses of ultrasound, which is sent from a remote control to SoFi. SoFi then decrypts the ultrasound into actions like ‘turn left’, ‘swim faster’, or ‘bite diver’. Okay, the last one we made up. Basically the divers talk to SoFi the in a manner similar to the way dolphins talk to each other. The range between the remote control and SoFi is 50m, meaning a diver can swim in the background to not startle the fish that SoFi is trying to interact with. Fun fact: The controller actually is a fitted super Nintendo controller. They just don’t make toys like they used to. 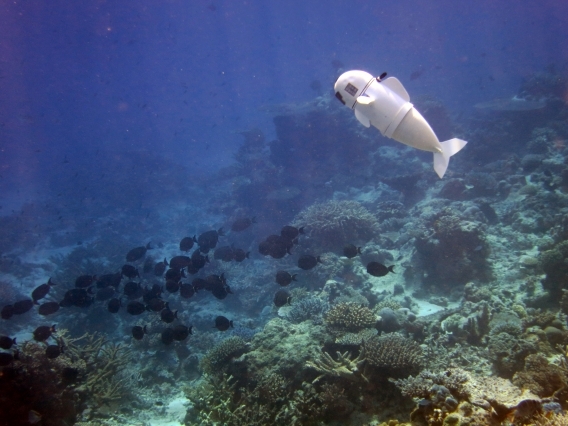 With a camera mounted on its front, cyclops SoFi can ogle fish from up to 50 meters away. In the future, the team hopes to also add a thermometer and other cool stuff to it. Besides from the awesome functions, an obvious drawback is that SoFi stills need a human diver swimming nearby. This means the observations are limited to the working hours of divers, and only in areas where divers can swim safely. Another issue is, that SoFi doesn’t talk back. A diver steers the Robofish with a remote, but all data, meaning video, that the robot stores in its fake fish body, isn’t sent back to the diver. It’s basically like a home reccored VHS. If you’re under 30 this reference is meaningless, but think of a phone with no data connection or wifi, where you need to move your photos from the phone onto your laptop. You have to psychically take the phone and plug it into your laptop – The same goes for SoFi. As long as SoFi doesn’t send the video feedback, and can’t be operated from farther away, it more or less functions as 50m long selfie stick. What Can SoFi AKA. 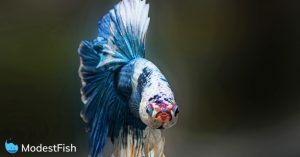 "Robo Fish" Do? We all know the best things in the world, is to just stare at an aquarium. 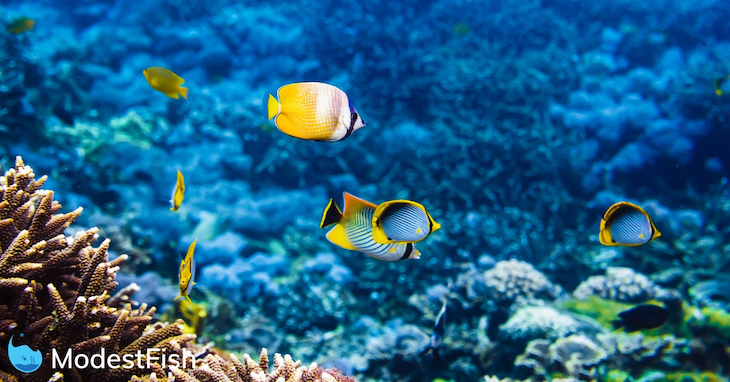 Watching fish swim around is exactly what a lot of marine scientists do. What do they look like, how do they act, mate, hide, hunt? All of the ins and outs of everyday fish life. That’s the primary goal of SoFi and other robotic fish. Observing and helping us learn more about how fish really act when there are no humans around to startle them. Maybe they’re more chilled out? Maybe they dance the tango, who knows? But being able to observe them, while pretending to be a fish instead of a big, bulky machine or a nosey human, is a way of getting the true facts about what’s really going on beneath the surface. And of course the further exploration of the world’s oceans. The recent spotting of the large Greenland Shark is I good reminder of how little we actually know about our blue world. Says one of the creators, Mr. Katzschmann to the New York Times. 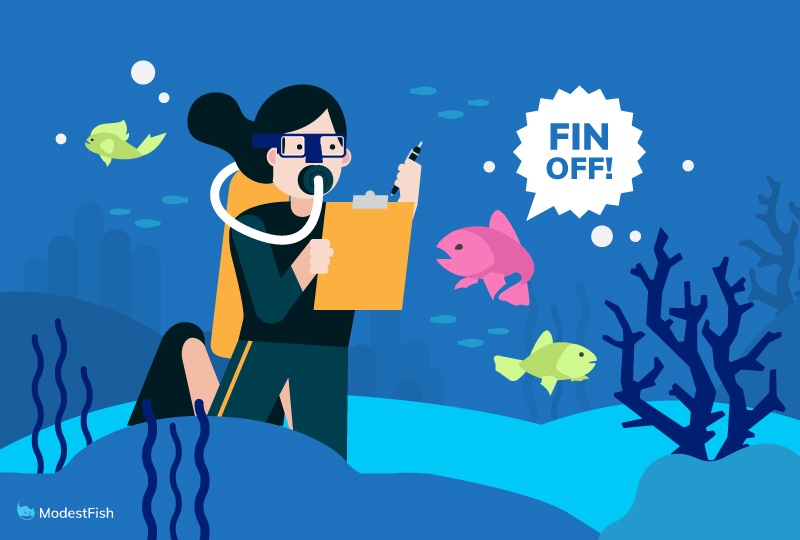 How does SoFi protect marine life? Does it shoot lasers from its eyeballs, or work like a freezer, cooling down the ocean? No, of course not. It gathers data, via video, for documentation. Climate change, overfishing and plastic pollution is messing up the oceanic ecosystems, and overall marine life is in decline. Basically, the saying ‘plenty of fish in the sea’ isn’t true anymore. Scientists are hoping that collecting data about how bad the problem is, will help make way for new policies which can make our oceans healthy again. Maybe. Policies are made with several factors in mind, including scientific data, fishing associations, legal questions about who owns the different oceans, and economic considerations. Environmental policymaking has a lot to encompass, and science is just one aspect. Oh my god, so boring! Let talk more about robot fish. Will our oceans be full of little SoFis, wriggling around filming everything? If the bots become autonomous, meaning if they can swim and steer by themselves, sending video back to the scientists, it is possible to imagine a world where Robofish are the primary source of information about what’s happening below the surface. For now, there are still a lot of unanswered questions regarding machines like SoFi. On its maiden voyage, the other fish didn’t really pay that much attention to it, but researchers don’t yet know if the ultrasound used to steer it can be heard by whales or dolphins. And if so, how will they react? And what about larger marine creatures, that might find SoFi to be a tasty looking snack? “If a shark would have come and ate our fish, that would have been the most amazing footage,” Mr. Katzschmann said to the New York Times. True, but it’s less amazing if you happen to be that shark. With increasing examples of marine animals washing ashore with a stomach full of plastic waste, are Robot-fish a sustainable way to monitor the state of the ocean? Or will the washed up whales have little wriggly SoFi’s in them, in addition to plastic bags? It begs the questions, is the time for robotic fish now? The short answer is maybe. That was a decade ago, and we still don’t have underwater terminator fish swimming around, documenting pollution. If SoFi truly is revolutionary, and not just an underwater game of Mario car, is hard to say at this point, but we at Modest Fish have a feeling, that it’ll be back.